Forty-five prominent scholars engage in self-critical, state-of-the-art reflection on international studies to stimulate debates about successes and failures and to address the larger question of progress in the discipline. 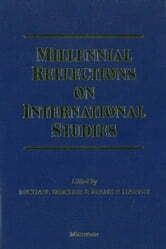 Written especially for the collection, these essays are in hardcover in the form of an easy-to-use handbook, and in paperback as a number of separate titles, each of which consists of a particular thematic cluster to merge with the range of topics taught in undergraduate and graduate courses in international studies. The themes addressed are realism, institutionalism, critical perspectives, feminist theory and gender studies, methodology (formal modeling, quantitative, and qualitative), foreign policy analysis, international security and peace studies, and international political economy. 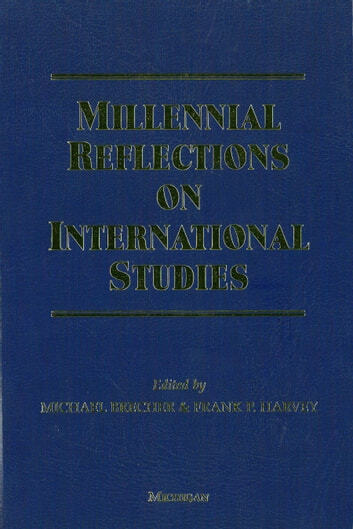 This collection provides an accessible and wide-ranging survey of the issues in the field as well as an invaluable bibliography, and will undoubtedly determine the shape of future research in international studies for the millennium. Contributors are: Steve J. Brams, Davis B. Bobrow, Michael Cox, Robert W. Cox, Bruce Bueno de Mesquita, Joseph M. Grieco, Ernst B. Haas , Peter M. Haas, Kal J. Holsti, Ole R. Holsti, Patrick James, Robert O. Keohane, Edward A. Kolodziej, Louis Kriesberg Robert T. Kudrle, David A. Lake, Yosef Lapid, Russell Leng , Jack S. Levy, L. H. M. Ling, Zeev Maoz, Lisa L. Martin, John J. Mearsheimer, Manus I. Midlarsky, Linda B. Miller, Helen Milner , Michael Nicholson, Joseph Nye, V. Spike Peterson , Jan Jindy Pettman, James Lee Ray , James Rosenau, Harvey Starr, J. David Singer, Steve Smith, Christine Sylvester, J. Ann Tickner, John Vasquez, Yaacov Y. I. Vertzberger, R. B. J. Walker, Stephen G. Walker , Jonathan Wilkenfeld, Oran Young, Marysia Zalewski, and Dina A. Zinnes. Michael Brecher is R. B. Angus Professor of Political Science, McGill University, and former president of the International Studies Association. Frank P. Harvey is Professor of Political Science and Director, Center for Foreign Policy Studies, Dalhousie University.